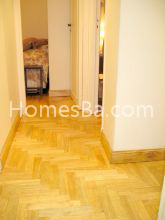 Confortable apartment located in PALERMO HOLLYWOOD with two bedrooms one of them with a double bed and the other with two singles. There are two courts one of them used as a laundry with washer and dryer. 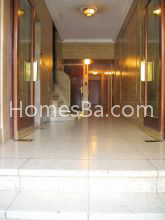 It is in ground floor but it has two courts which give light to this comfortable apartment. 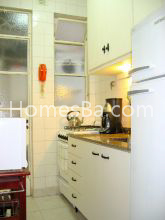 Complete kitchen with oven, gaz furnaces, microwave, fridge with freezer, coffee maker, toaster. The living room has a large table with 4 chairs. There are two portable air conditioning 3000 fr. each. 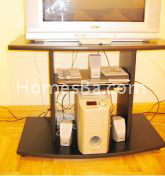 Tv.29"with cable , DVD with MP3/MP4, Home theatre, Internet (two different accesses to wire Internet. 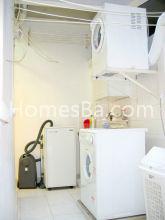 Two blocks from Palermo subway station, and one blocks from Santa Fe Ave.
Near to: Churches, Discos, Bus Stop, Theatres, Coffee Stores, Internet Coffee, University.